Baldur's Gate takes you back to the Forgotten Realms campaign setting in a dazzling role-playing adventure, one that brings to life the grand tradition of the Advanced Dungeons & Dragons game through intricately designed graphics, sound and play balancing. Immerse yourself in this quintessential medieval fantasy world, where nations hang in the balance of your actions, dark prophesies test your resolve, and heroic dreams can be fulfilled at last. Being negative about anything relating to Baldur's Gate is tough given lingering fond memories and how good the original game remains. Still, you can't view this remake in a fully positive light. Additions and enhancements are of questionable merit and are already largely available with very comprehensive, very stable mod packages for the original game, and major bugs have caused a lot of frustration. 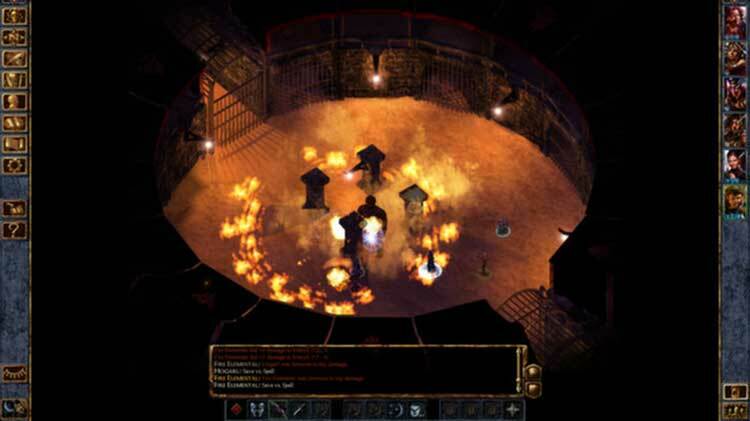 The Baldur's Gate Enhanced Edition is a loving tune-up of BioWare's groundbreaking RPG, with visual enhancements, bug fixes and new content, but the game itself is the same as it ever was, wonderful and punishing in equal measures. It's a great second chance for RPG lovers who missed out on the original, but gamers after a more casual or relaxed diversion may find it more frustrating than fun. Baldur’s Gate: Enhanced Edition isn’t a remake of the famed RPG classic; instead, it acknowledges the many improvements modders have created over the years while seasoning the content with some worthwhile content additions. 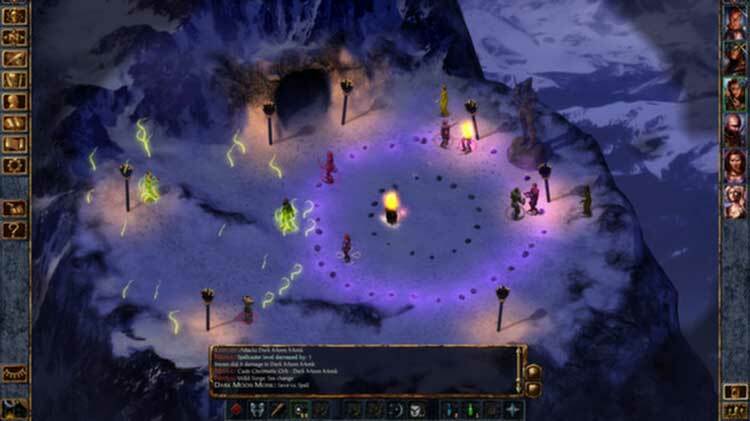 Despite a dearth of immediately obvious changes, Baldur’s Gate has aged well, and new players will find many hours’ worth of fun if they approach it with an understanding of its increasingly antiquated framework. If you'd prefer the convenience of BG:EE, it's a perfectly acceptable version. But the fact that you're reading this here suggests that you have some PC gaming nous, and a properly modded copy of the original release is ultimately the superior experience. That fact alone is a saving throw against what should have been a glorious comeback. 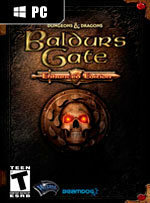 Baldur’s Gate: Enhanced Edition is a fantastic way for RPG fans to experience one of the true classics of the genre. Fans of modern RPGs like Skyrim or Dragon Age will notice Baldur’s Gate has a lot in common with them. The additional content like new characters, entirely new game mode, and the inclusion of the expansion’s content ensure you’ll be spending countless hours playing. The best way to view the Enhanced Edition is as a particular flavour of this game - one which may or may not appeal to your personal taste. I certainly can't claim that this is the definitive version of Baldur's Gate and I have to judge this game I love with that in mind. It's not better - it's just different. 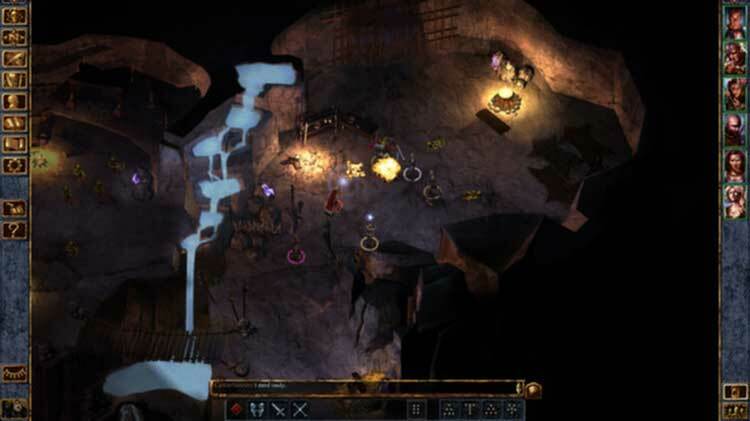 You should absolutely play Baldur’s Gate if you don’t mind isometric RPGs that give you a real challenge, since the writing is still amazing and both the world and combat system are still really deep and engrossing. This may be the one to get if you don’t own a copy, but it still needs a few more patches, a Steam release and a price drop before I can wholeheartedly recommend it. Nevertheless, a classic game given a questionable buff is still a classic game. Hay que dejarlo muy claro, Baldur's Gate es un juego extraordinario, más allá de cualquier número asociado aquí. Si la valoración no es más alta es por la lógica de la comparativa de precio con ofertas presentes en el mercado -se puede conseguir el pack completo de toda la serie por menos dinero-. Baldur's Gate: Enhanced Edition es una puesta al día genial de uno de los mejores juegos de rol de la historia. Los nuevos jugadores tendrán que superar un pequeño período de adaptación, pero a cambio, BG: EE les recompensará con una de las experiencias más satisfactorias que hayan probado, y los jugadores clásicos tienen una excusa irremediable para encender el PC. Baldur´s Gate immer noch sehr gut auf seinen eigenen Füßen stehen. Und sobald die Enhanced Edition endlich stabil läuft, noch ein paar Macken ausbügelt, dann bekommt sie auch die Wertung, die das Spiel eigentlich verdient. Und selbst dann ärgere ich mich über diese vertane Chance, etwas Mutiges und Interessantes zu schaffen. Denn selbst wenn sie vernünftig läuft, braucht eigentlich niemand diese Ausgabe wirklich. PC-Spieler, die das alte Spiel bereits besitzen, sollten sich aber bewusst sein, dass sie hier vor allem für zwei Dinge 15 Euro zahlen: Zum einen Bequemlichkeit, denn auch wenn kostenlose Mods viele ähnliche Verbesserungen bieten, ist deren Installation deutlich umfangreicher und komplexer. Und zum anderen die Zukunftspläne von Overhaul Games, die bereits versprochen haben, die Enhanced Edition auch nach Release konstant aufzuwerten. Manque de temps et de moyens, ou volonté de profiter sans trop se fouler de l'aura de Baldur's Gate ? Toujours est-il que cette Enhanced Edition fait peine à voir. Difficile de la conseiller aux néophytes, tant le travail de restauration est à peine ébauché. Difficile de la recommander aux fans, qui, en l'absence de véritable valeur ajoutée, préféreront se tourner vers un modding à la fois gratuit et plus ambitieux. Baldur's Gate: Enhanced Edition offre il giusto grado di tuning al prodotto originale, dalle migliorie all'interfaccia alle ore aggiuntive. Particolarmente interessante sarà anche la valutazione delle versioni per iPad e Android: da tenere presente, in questo caso, il supporto alla cooperativa cross-platform. Per il resto, Baldur's Gate resta il capolavoro che è sempre stato e che ogni giocatore di ruolo dovrebbe aver completato almeno una volta. Per i nostalgici senza speranza o per tutti coloro che vogliono capire perché, davvero, si stava meglio quando si stava peggio, questa edizione è comunque un acquisto da valutare con molta attenzione. In questo caso, potete tranquillamente aggiungere un punto abbondante al voto quando la versione per tablet vedrà finalmente la luce. I det stora hela känns Baldur's Gate: Enhanced Edition som en värdig uppdatering som ger fans anledning att återvända till forntidens rollspel. Nya spelare får också plats och bör se till att ta den eftersom detta är ett alldeles ypperligt tillfälle att upptäcka en riktigt spelskatt. Men jag skulle ljuga om jag inte sa att det kommer behövas ett stort tålamod och en villighet att ta del av komplicerade och stundtals orättvisa regelverk.